The article of today is mainly for those who haven’t experienced a number of helmets, thus do not know much about what’s available and the difference between one and another! Riding gears play an important role in the safety of a biker but many do without. However, one can’t ride without a helmet. A helmet is compulsory by law, in most countries 🙂 but it is for sure the best investment for any biker. Without a riding gear one is more at risk to break bones, burn legs and/or hands but without a helmet is almost a sure death. This is why one should be really careful when choosing which motorcycle helmet to buy! There are loads of helmets on the market but all depends what one is looking for. Most of the time, cheap items tend to be more expensive at the end of the day and, for sure, helmets are a clear example of this. So far I only tried 2 different makes, on the road, but can easily see the difference between these two. 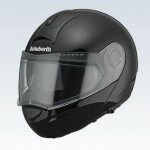 To begin with, let me go through some important factors one should take note of when buying a helmet. First of all, you need to check the size of your head. Measure the circumference of your head by placing an inch tape just on top of your ear. Then, try out a couple of helmets to see which fits best. Important that once on your head, when you move the helmet sideways, you can feel that it’s moving your cheeks too. If it’s too tight or too loose then try another shape. Another thing to check is the strap. The strap should be just under your chin and not so close to your neck. The last think to check is the distance between your chin and the front bottom part of the helmet. Make sure there’s at least space for 1 finger. Once all these have been checked and noted they’re ok, than that’s the helmet for you! Another important issue when choosing the helmet is your budget and what type or riding you’re going to do with your bike, whether using it for sports, touring, motocross, etc …… Well, I’m going to talk mainly on Rally Touring, as that’s my style of riding! Until today, I’ve had a number of AGV and Schubert models but if I had to point out the best one I would definitely point my finger to the Schubert! AGV helmets are good and they’re built with safety in mind but every model I had, which have to point out that it wasn’t the cheapest but it was neither a really expensive one, I’ve always had problems with the wind noise, apart from some other noises that usually come from the visor. I always thought that AGV is a good make but, until today, I’m still not convinced it’s the make to buy when looking for a really good helmet. For those who wish to know more about the best AGV model I had, and which I’m still not so happy with it, I’m talking about the AGV S4 SV. 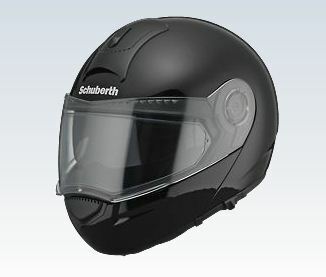 Then comes the Schubert, one of the first helmets I owned. I have to admit that they were, and are now even more, expensive but it’s purely an example of you get what you pay for. Until today, the Schubert Concept I had is for me the best helmet I have ever experienced and the helmet I would always be ready to pay it’s excessive price. Don’t ask me to pay this price on an AGV. Maybe they have helmets that are of the same standard as the Schubert but am not ready to pay such an amount of money just to try it out. The Schubert is light, it feels somehow more heavy duty, it fits perfectly with the neck not to feel any cold during the winter period and what’s the best of it all, it’s extremely noiseless. I don’t ever remember I used to hear the kind of wind noise I always experienced in any of the AGV helmets! There are a number of other good makes on the market, such as Givi, Shoei, Airoh, Arai, Nolan, X-Lite, etc …… and will be sharing my views on every single one of them as time goes by. In the meantime, if you, the one that is reading this article would like to share your personal views/opinions on the above mentioned helmets and/or of any other make, we would be more than please to hear from you.